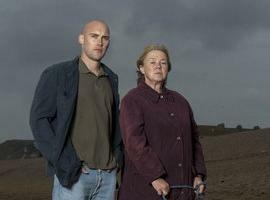 Broadchurch came to an explosive end on Monday night and the EntertainmentWise office have been in mourning for DI Hardy and co ever since. Luckily for us super fans, we got the chance to speak to Joe Sims today aka Nigel Carter who told us all about his amazing experience on set of one of the biggest TV hits of the year! 'Nasty Nige' may have turned out to not actually be that nasty (apart from stealing a bit of tractor diesel) but Joe reveals that earlier on in the series he received a lot of online hate after THAT scene with Susan's dog. The scene saw Joe's plumber character, an early prime suspect for the Latimer murder, aim a crossbow at his mum's beloved dog with viewers left hanging between episodes as to the canine's fate. Thankfully the dog was fine, but that didn't stop tweeters from sending a lot of hate Joe's way after the episode aired! "The public have been really really nice, since they found out I didn't kill the dog!" Joe told EntWise when we asked him about the viewers reaction to his character. "It was scary what people were saying on Twitter about what they'd do to me if I'd killed the dog. We're a nation of dog lovers!" adds the actor. 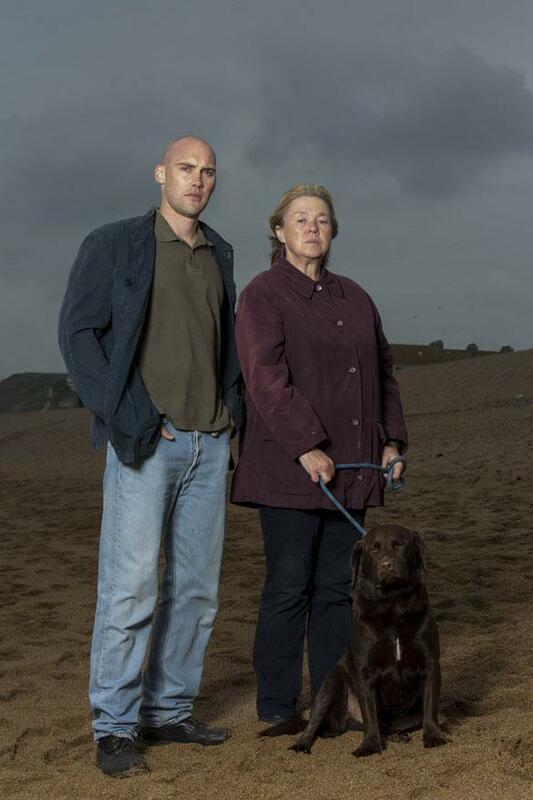 And just in case any of us are left in any doubt as to the fate of Susan's dog, Joe adds "But I can confirm no animals were injured in the making of Broadchurch." Phew. The actor also told us just how hard it was to keep the biggest secret in telly- the identity of Danny Latimer's killer, with Joe admitting that it would feel like he was "cheating the audience" if he let the cat out of the bag. Joe did find himself under an immense amount of pressure from his friends and family once the series started to air though: "My friends were running bets on it and they were like 'go on just say, we can both make some money!'" We bet Joe wouldn't have had a chance of being asked back for the (now confirmed!) second series if he had revealed all!